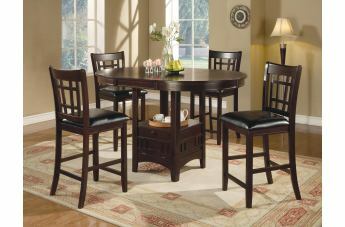 The Lavon Collection by Coaster Furniture is a sophisticated casual set. 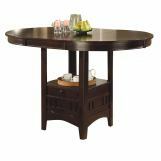 The counter height table features sunburst veneer top and a square base with a shelf and storage cabinet. 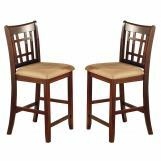 Pair with the matching waffle back stools with black faux leather upholstered seats for a great casual dining and entertaining area that friends and family will enjoy. 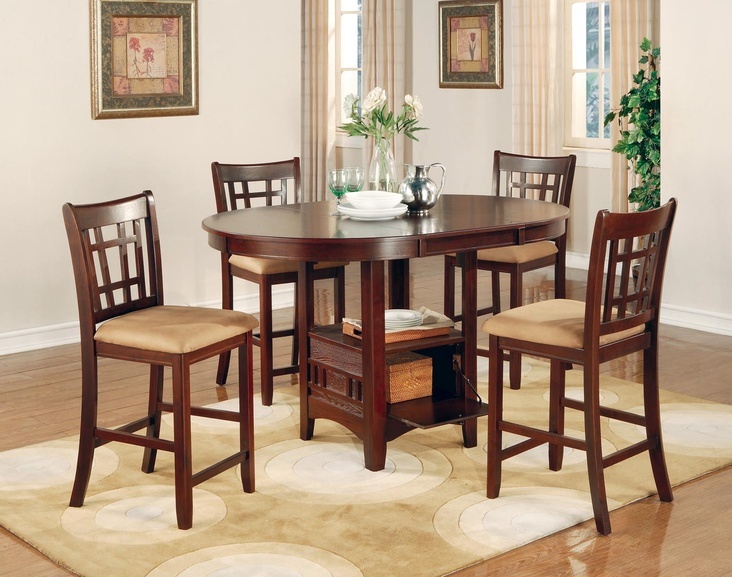 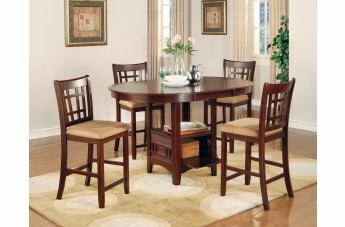 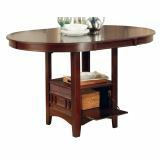 Finished in a luxurious deep cherry, this set will be the perfect addition to your dining area.